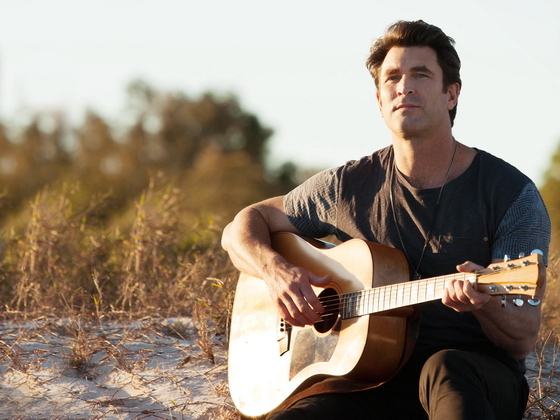 After the highly successful sold out ‘Feeler Anniversary’ tour with the Stone Masons in 2014, Pete Murray will hit the road this spring on an extensive national acoustic tour. The ‘Yours Acoustically’ Tour will visit 33 locations including every State – from Northern QLD to Launceston to Alice Springs and everywhere in between. ROB THOMAS has now announced a special second and final Sydney show at the State Theatre on Friday February 26. This will be Sydney’s final chance to see Rob – the frontman, lead vocalist and key songwriter for Matchbox Twenty and major solo artist – playing his hits and classics, plus select tracks from The Great Unknown. ROB THOMAS has had an ongoing, 20-year long, love affair with Australian audiences – both as the frontman, lead vocalist and key songwriter for Matchbox Twenty and also as a major solo artist. In February 2016, that romance will continue as Thomas makes a very welcome return down-under for a national headline tour. Touring in support of his first solo album in more than six years, the long-awaited The Great Unknown, Thomas’ summer tour will include a special night under the stars, ‘On The Steps’ at the Sydney Opera House, three winery shows, including at A Day On The Green in Queensland and Victoria, as well as a headline Melbourne arena performance and Perth and Canberra performances. Rob Thomas will also be the headliner at the Clipsal 500 Post-Race concert in Adelaide on Sunday, March 6. “I’ll be playing some of the new stuff, some of the old stuff, a little bit of everything, it’s pretty exciting…” said Thomas of The Great Unknown World Tour. Joining Rob Thomas on all dates will be special guest Pete Murray, with Darren Middleton of Powderfinger fame appearing at the three winery shows. Tickets go on sale at 10am Wednesday, November 25. Fan club members can be among the first to secure tickets during the exclusive pre-sale commencing 2pm tomorrow, November 17. Telstra Thanks is bringing an exciting 48-hour pre-sale just for Telstra customers from 10am Friday, November 20 until 9am Monday, November 23. Head to telstra.com/music for more information on how to purchase. For complete tour and ticketing details, visit: www.livenation.com.au. 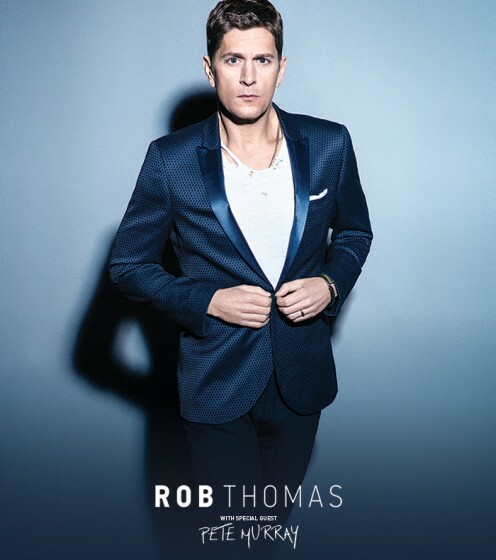 Currently in Australia on a promotional visit, multiple Grammy Award winner Rob Thomas is known worldwide as lead singer and primary composer with Matchbox Twenty, as well as for his hugely successful solo work and chart-topping collaborations. Overall, Thomas has contributed to sales of more than 80 million records. Featuring singles ‘Trust You’ and ‘Hold on Forever’, The Great Unknown (out now through Warner Music Australia) is the third and latest solo offering from the master singer-songwriter. Thomas delivered his solo debut in 2005. …Something To Be hit #1 on the ARIA Album Chart and earned sales of three-times platinum, adding singles ‘Lonely No More’, ‘This Is How A Heart Breaks’ and ‘Streetcorner Symphony’ to the list of Thomas classics. His 2009 follow up, Cradlesong, featured ‘Her Diamonds’, peaked at #3 on the ARIA Album Chart and achieved double-platinum sales. Matchbox Twenty released their debut album Yourself Or Someone Like You in 1996. Home to massive hits ‘Push’ and ‘3AM’, the album amassed sales of 10-times platinum in Australia. The band’s most recent studio album, 2012’s North – fuelled by the hit singles ‘She’s So Mean’, ‘Overjoyed’ and ‘Our Song’ – reaped their first-ever US #1 debut and Billboard 200 chart-topper, and an ARIA Album Chart #1. Rob Thomas, in part, also holds the title of the second-most played track on Australian radio of the past 15 years with ‘Smooth’, his certified worldwide smash hit collaboration with Santana for which he collected three Grammy Awards. The tune resided at #1 on Billboard’s Hot 100 for a staggering 12 weeks in 1999. Pete Murray’s quintessential debut album ‘Feeler’ dominated 2003, selling six-times platinum and earning 12 ARIA Award nominations. Eventually spending more than two and a half years in the Top 100. 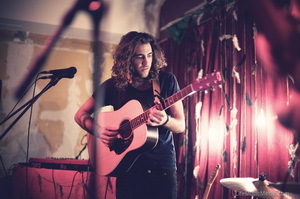 ‘Feeler’ spawned Murray’s classic ‘So Beautiful’ which went on to become the Most Performed Australian Song of the Year. Follow up LPs ‘See The Sun’ (2005) and ‘Summer At Eureka’ (2008) both debuted at #1, delivering Murray three consecutive chart-topping albums. Released in September 2011, Murray’s fourth studio album ‘Blue Sky Blue’ sold Gold and spawned the hits ‘Always A Winner’ and ‘Free’. Pete Murray has remained one of Australia’s hottest and most in-demand touring properties, repeatedly enjoying sold out tours across the country and aboard. Darren Middleton, best known as Powderfinger’s lead guitarist and songwriter, will join the line up at Hope Estate Winery on Saturday February 27, at Sirromet Wines on Sunday, February 28, and at Rochford Wines on Saturday, March 5. Performing a number of iconic Powderfinger songs in addition to his solo material. Middleton released his new album ‘Splinters’ earlier this month, a follow up to his 2013 debut album, ‘Translations’. ARIA 2010 wholesale sales figures shows greatest growth in digital products! 17th February 2011 (SYDNEY) – Figures released by The Australian Recording Industry Association (ARIA) today have demonstrated the continued strong growth of digital products, with both number of units sold and dollar value up more than 30%. This increase in popularity for digital tracks and albums saw overall quantity of units sold across the last calendar year grow by nearly 10%, whilst the industry’s overall dollar value was down 13.9% on 2009. The trend towards digital has prevailed over the last three years; digital tracks selling 24.9 million units in 2008 compared with nearly 50 million in 2010 and the value of digital albums more than doubling over the same three year period. From 2009 to 2010, digital tracks have increased in value by 47% and digital albums by 45%.